Eat Well & Sleep: Friday Salmon Supreme! Last night we had a lovely Salmon dinner. 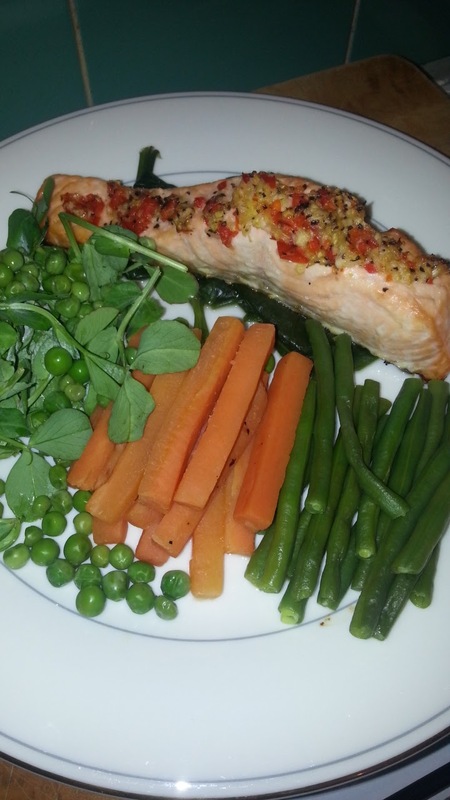 The salmon was cooked in the oven with a garlic, ginger, chilli & lemon juice dressing. It was accompanied by carrots, green beans and peas, all simply steamed. The leaves are pea shoots. Such as easy plate of food to prepare and very satisfying to eat.